Though the term ‘cloud hosting’ no longer sounds as foreign as it did back in 2010, so many people are yet to understand what it really means. Does this refer to an actual cloud in the sky or is it just a figure of speech? From what we can see, more and more people are moving towards cloud computing. Videos and games have become bigger, thanks to their high resolution and this has catapulted the demand for cloud hosting as the disk space on computers is no longer sufficient for all the computer files. In view of this, it is ever more important for businesses and individuals alike to understand what cloud hosting really is and how they can use it to improve their computing experience. I T experts often provide a very complicated answer to the question “What is cloud computing?” in the context of hosting, one cannot point out to a physical object and name it the cloud. In fact, it’s an electronic structure where data is stored across many computers that are connected by a vast network, usually the internet. Cloud hosting therefore provides users with one large processor and storage space. Real website data – such as images, HTML files and so on, is spread over cloud clusters of hard drives that are interconnected to form a virtual disk that has humongous capacity. Big businesses often invest in strong disaster recovery systems but this can be quite costly for start-ups and small businesses that lack the necessary cash and expertise. Cloud hosting helps companies buck this trend while at the same time helping them avoid huge up-front investments and also save time. When all teams can gain access to documents at any time regardless of their location and even edit and share these documents, they are able to achieve much more together and do it efficiently. Cloud hosting file sharing and workflow applications allow them to make updates in real time and also provides visibility for all involved teas so they can work better together. The servers in cloud hosting are off- premise and don’t require users to take care of them. The providers of cloud hosting do all the dirty work for you including making regular software updates that including keeping your systems secure. These leaves with a lot of time in your hands to work on other aspects of your business or website. Cloud hosting services are perfect for young companies that have fluctuating or growing bandwidth needs. When you get more traffic, it’s very easy to increase your capacity by drawing on the cloud’s remote servers. In the same light, if a company needs to scale down, they can easily do so. Such flexibility gives businesses a real edge of their competitors. Lost computers are a massive business problem but a greater problem than the loss of computers is the loss of super sensitive company data. Cloud hosting provides greater security even in the event of such a loss because all the data is stored in the data and can be accessed using another machine. It is also possible remotely erase all the data in your lost computer. Cloud hosting is increasingly growing in popularity. 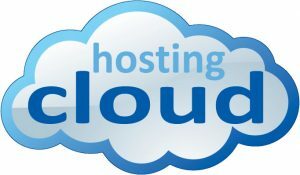 If you are not already subscribed to a cloud hosting service, here are some of the most recommended providers whom you can choose from. Do your homework on the above providers and settle for the one that perfectly meets your business and website needs.